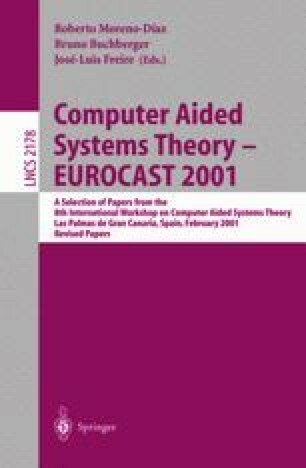 This paper is devoted to the formal study of the data structures appearing in a symbolic computation system, namely the EAT system. One of the main features of the EAT system is that it intensively uses functional programming techniques. This implies that some formalisms for the algebraic specification of systems must be adapted to this functional setting. Specifically, this work deals with hidden and coalgebraic methodologies through an institutional framework. As a byproduct, the new concept of coalgebraic institution associated to an institution is introduced. Then, the problem of modeling functorial relationships between data structures is tackled, giving a hidden specification for this aspect of the EAT system and proving the existence of final objects in convenient categories, which accurately model the EAT way of working.